She'd been thrown away like trash — but she turned out to be the sweetest, most affectionate pet. 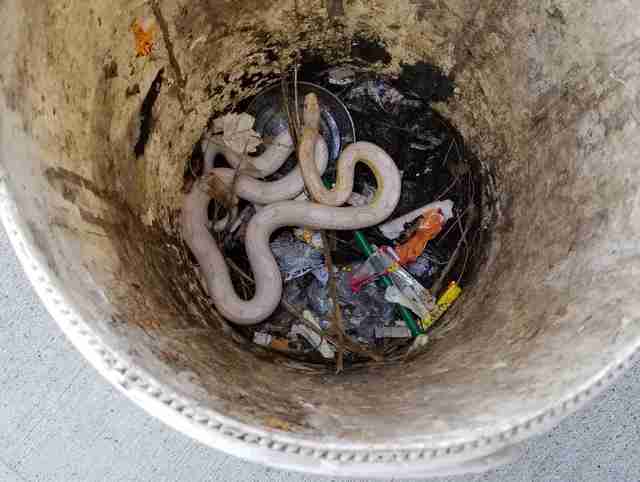 A man was walking out by the dumpsters at his workplace in Indiana when he noticed a bucket full of garbage sitting next to one of the dumpsters — and something was moving inside of it. 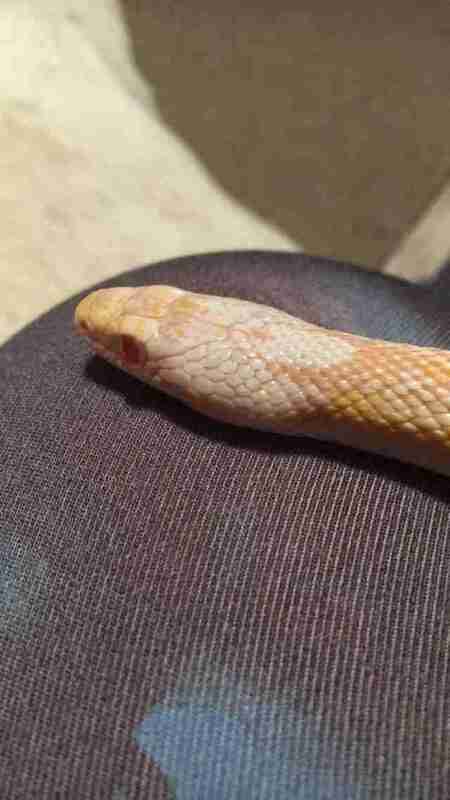 He took a closer look, and realized it was a corn snake, who had been thrown away like trash. 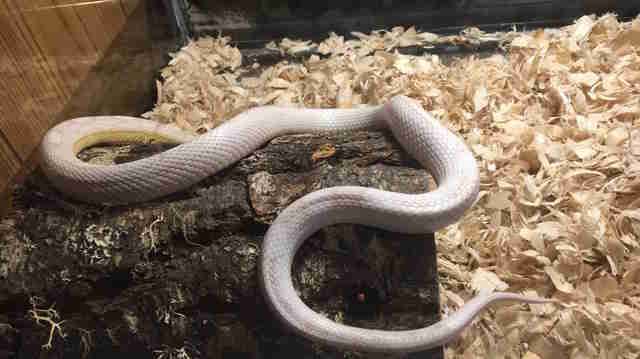 While corn snakes are common pets, in the wild they're native to the southeastern U.S., which means the snake would struggle to survive on her own in the colder Indiana climate. 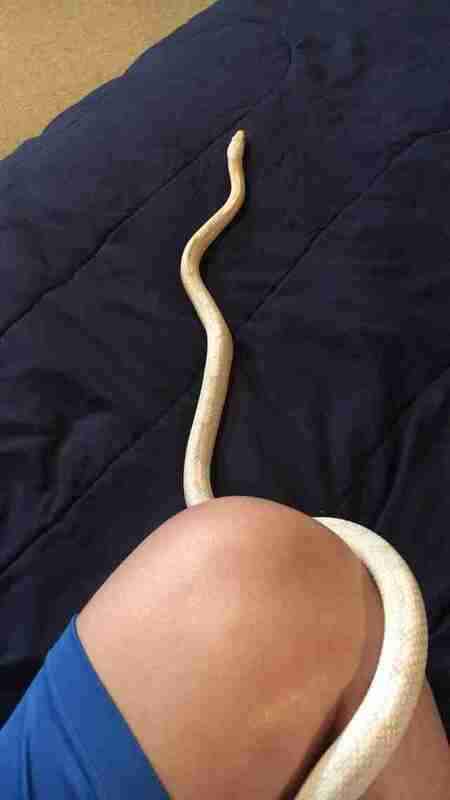 The man then noticed another corn snake nearby who had already passed away, and that’s when he knew that he had to take her with him. 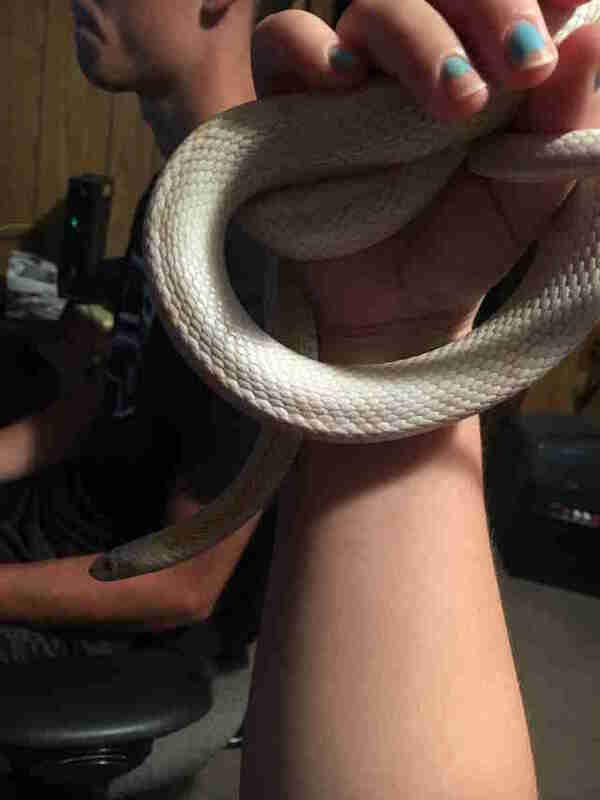 The man took the snake and transferred her into the care of his son and his son’s girlfriend, Avery Cook, who both have experience caring for reptiles. As soon as they saw her and heard her rescue story, they immediately agreed to take her in. When the snake, now named Kairi, first arrived at her new parents’ home, she was underweight but otherwise fairly healthy, and Cook and her boyfriend were amazed at how sweet she was despite everything she’d been through. As Kairi slowly began to gain weight and adjust to her new home, her sweet personality began to shine through even more. She quickly fell in love with her new parents, and now absolutely loves spending time with them every chance she gets. Kairi is now up to a normal weight again and thriving in her new home. The snake is so content and very healthy, and her parents couldn’t be happier that she found her way into their lives. “Corn snakes can live upwards of 10 years and we are completely prepared to keep her and love her for the rest of her life,” Cook said.